I coordinate the California 4-H Japanese Exchange. We offer a one-month exchange program. 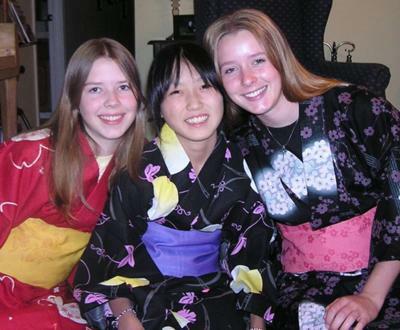 4-H members host Japanese youth ages 12-17 on odd-numbered years and travel to Japan on even-numbered years. During the summer of 2011, 20 Japanese youth will be staying with host families in California from July 22 to August 18. If you are interested in more information about our program please contact me at pnenglish@ucdavis.edu. Awe! I'm 13, you guys look good. Maybe I'll do that! Thanks! Join in and write your own page! It's easy to do. How? Simply click here to return to 4-H Projects.